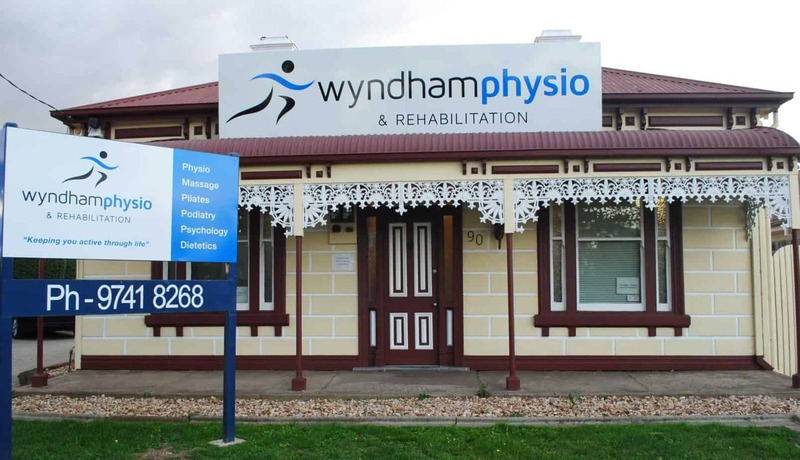 Wyndham Physio and Rehabilitation has been practicing in Werribee area for over 30 years. It is quite an established business. Their main service is physiotherapy but they also offer pilates classes as well as, massage, podiatry, and psychology services. Back in 2016, the owners of the clinic, Russell and Jennifer, realised its online presence was not very impressive and that’s where we came into the picture. Jennifer rang us and asked if we could help her. We said yes and after changing into our superhero costume (we didn’t wear our undies on the outside, promise! ), we started the case. How did we achieve all the above? Well, you need to keep on reading to find out. First thing first. After researching about the website and having thorough discussion with Jennifer, we got to drill down and pinpoint the problems she was facing. With the problems presenting themselves, we were able to come up with some solutions. Let’s have a look at the traffic time line from year 2016 to 2018. As you can see, the number of sessions increased significantly over the years and the growth has been a gradual increase with no signs of slowing down. 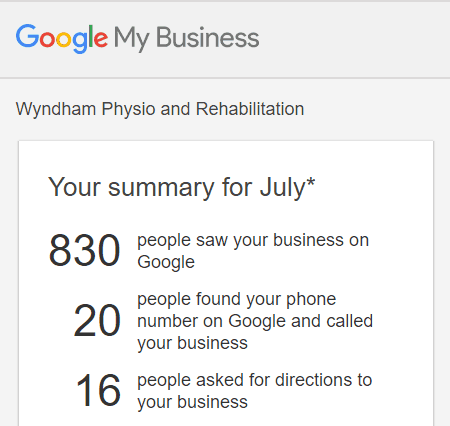 In June 2016 when we first started the SEO optimisation, Wyndham Physio was getting 115 sessions per month. Meanwhile, as of November 2018, the sessions have gone up to a whopping 321 sessions per month. That’s a 179% increase! While the number may seem unimpressive to some, you will understand the whole idea as we go through this case study. 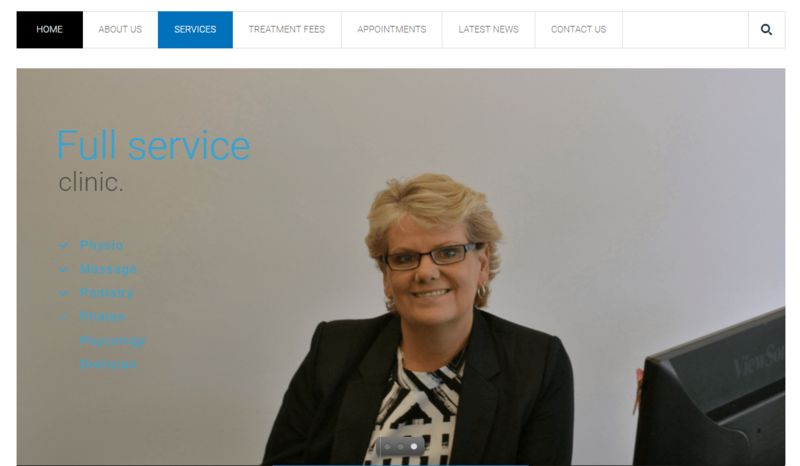 At the beginning, the website was ranked number 5 in organic listing for physio Werribee. You might be thinking “Hey, the site was on the first page already so it wasn’t that bad!”. Well, if your site ranks no. 5 out of 6 clinics in your area, I think you’ll be unhappy to know that you are the second last choice from all the options. Therefore, we aimed to bring it up and ended up with being number 1 with the search rankings! There was quite a bit of work involved in boosting the ranks. For a business to rank well in a map listing, Google needs to fetch accurate data. Wyndham was listed as “Cotrell St Physiotheraphy”. This was bad. Not only this does not match the business’ name, it does not reflect the accuracy of data. Potential clients may have been lost because of this simple error. With this roadblock, we had to clean up their listings in local directories like Yellow Pages and True Local. We requested these directories to update the information on their end while we also build new listings. When this road block is cleared, Google can “see” that the information about Wyndham Physio is more accurate and that the listing is trustworthy (Google doesn’t have X-Ray vision like Superman does). This helped a lot with boosting the map listing ranking to the top 3 of Map Listing Search. Let’s move on to the website layout as we also made changes to the website for increased conversion and qualifying lead generation, which is very essential. It is true that some people believe that ugly sites out there can convert very well (ahemm… Ling’s Car site) because Google bots do not see the same thing as what is shown to us humans. However, bear in mind that humans are visual beings. If what is shown to the user is not attractive or interactive enough, then users may jump out of the site fairly quickly. This increases the bounce rate, which is not good for lead generation and conversion. Below, we will discuss the comparison of the old and new websites. We shall take a break from reading the boring ol’ article for a while and have a short activity to loosen up. List some of the things you like and dislike about the screenshot of Wyndham Physio’s old website. We believe we would have at least one thing that we don’t like and which is similar to what you have listed. The slider looks dull and unlikely to resonate with the visitors to the site. The colours of text in the left side of the slider do not pop and are hard to read. This criticism is enough to drive visitors away from further exploring the site. So, we made some changes to the slider and below is the screenshot of the new and current one. The current one looks brighter and more attractive with an image showing the action of physiotherapy. Also, the left side texts are clearer and much easier to read. In addition, there is a “Book Now” Call-to-Action (CTA) button, which is clear in the centre of the slider. When a user is ready to make an online booking, the button is readily available. This makes it easy to transition from reading and feeling ready to making a booking, without minor hiccups in between causing potential clients to feel it is hard to manoeuvre the website. Some people these days prefer online booking to making a phone call. It is also worth mentioning that once Online Booking option is set up and ready to go, business owners should really put it out there for users to see with a clear CTA button. This will help a lot with the conversion. Would you not want to explore Wyndham Physio and Rehabilitation with the new site? In many cases, the homepage is a landing page where potential clients land from organic searches. This is the first time that users are being exposed to the business and we all know a first impression can make or break the deal. Think of it as the front door of your brick and mortar shop. You would want to keep it clean, tidy and attractive as possible to get more clients to visit your shop and eventually buy something. Moving on to the Information Under Slider Element, we suggested to Jennifer to add a section showcasing that there is an option of Online Booking instead of just straight up calling. However, for those who browsed using their mobile phone, which most people do these days, we made an easy access call button in the mobile site. Not only was it important for us to make the above changes, but it was essential to make the site mobile-friendly to increase the conversion. At the end of the day, even with lots of traffic, it is a waste if the traffic does not convert. Do you notice that there are three CTAs in one screen on the mobile? 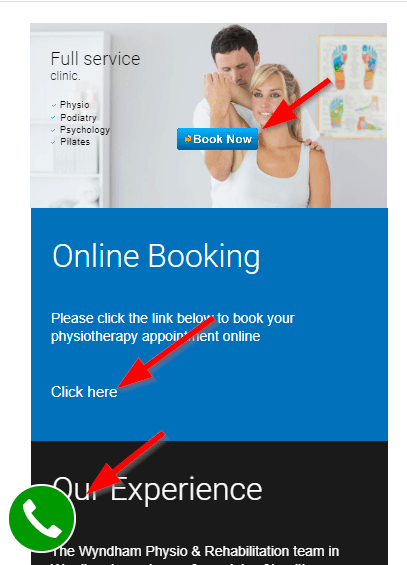 That was the strategy to give users every opportunity to either make an online booking or give Wyndham Physio a call without compromising their valuable time. 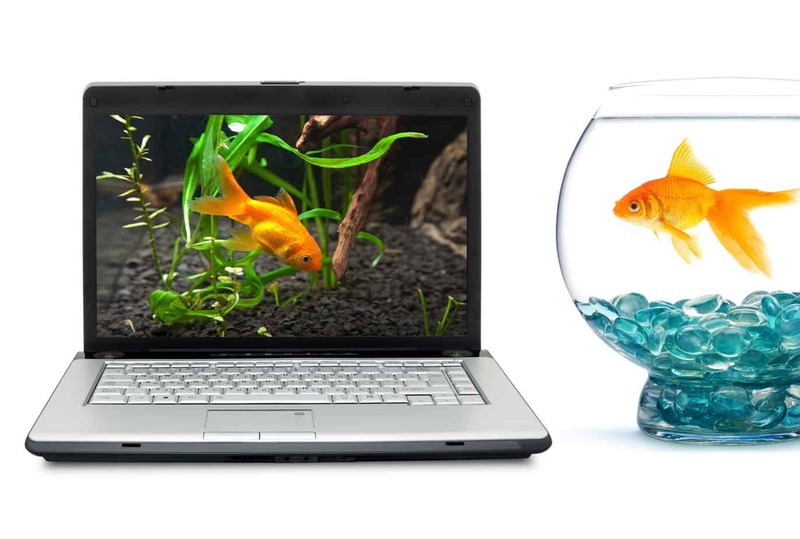 Fun fact: Did you know that our attention span is shorter than a goldfish’s? If we can’t find what we are after within 8 seconds, we will jump off to another site. A goldfish may stay for another second. Right now, if you are excited about the results just as we are, please sit tight and relax as we go through one more small part before we head to the results. Woohoo! Alright, we are now at the last major change we made to Wyndham Physio’s website. The always forgotten Footer. You may think the footer is constantly at the bottom of the page and consists of the non-important information so no one will actually notice it nor will it make any difference. We can tell you that in some ways you are right but you will understand by scrolling a little further to see the comparison of both old and new footer. Added schema markup tag to the business details (Business name, Phone Number and Address) – this gives a positive signal to Google, which is one of the factors to rank well. Can you see how witty little changes to the footer makes a difference? Now now …the long-awaited results are right below. With all the changes above done, we waited for the results to flow in. In this case, we monitored for a month and reported accordingly over the past two years. From the graph obtained from Google Analytics, you can see the traffic grew exponentially from 115 visits (before we made the changes live) to 321 visits as of November 2018. That is a 179% increase. Of course, traffic alone wouldn’t excite us. Not only did the traffic grow but the conversion rate exploded as well. Check out the screenshots below from Google My Business. The numbers speak for themselves. From having only 20 calls per month in 2016, it is now 80 calls per month from the Google Maps listing. That’s a 400% increase! In addition, they also received 20 online bookings and 22 phone calls from their website for the month! If you add them all up together, that’s 122 leads coming to the business! If we consider the conversion rate from the website only – 42 (20+22) divided by 321 website visits – that’s about 13%! To put it into perspective, according to a study, only websites in the top 10% convert 11.45% and higher. It is no doubt that these changes as well as SEO optimisation helped Wyndham Physio grow the business by increasing quality lead generation and boosting its sales. We helped Russell and Jennifer by employing the right strategies and gaining a deeper understanding of their needs and wishes for Wyndham Physio and Rehabilitation. At Infinite Ace, we do not stringently follow the books when it comes to SEO optimisation. We treat each client individually and solve their problems accordingly. Problems can only be solved by using the right way and implementing the right strategies catered to each brief.